If this description is translated into a successful replacement for the General Schedule (GS) salary system, it is likely to become a model for other public employers. Yet there are major hurdles. One is the training needed to prepare 250,000 supervisors to manage pay and performance. A second: Convincing 2 million skeptics that pay decisions will be fair. When public employers replace a salary program, the most popular model is based on “broadbands.” The idea, which gained popularity in the private sector when GE adopted it in 1990, is based on the program model commonly used for college faculties. Discussed and recommended in federal reports and proven in several states, it significantly simplifies and reduces the time and cost to determine how much a job is paid. When a new salary system is introduced, jobs can be slid horizontally from the old to new salary system with minimal disagreement. The banded salary model also makes individual performance and career progression the focus of salary increases, providing flexibility to respond to labor market developments. Is Pay for Performance the Best Alternative? In the January-February 2009 issue of Public Administration Review, James Perry published a lengthy summary of the research on pay for performance (PFP) (“Back to the Future? Performance‐Related Pay, Empirical Research, and the Perils of Persistence”). His conclusions were largely negative. I followed with a rebuttal article. Rereading what he and I each wrote, I was surprised that I would change very little of my argument today. 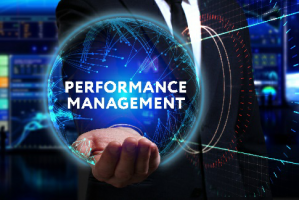 My more than 40 years as a consultant and manager have convinced me that when employees are rewarded for performance, performance improves and employees are more engaged. Researchers too often make the mistake of assessing PFP in isolation. The alternatives are general pay increases or step increase policies. Yet neither contributes to an organization’s success. Even more, neither would attract better qualified millennial job seekers. For organizations concerned with talent management, PFP is the logical choice. It is important to appreciate that PFP encompasses four proven plan concepts: merit salary increases; piece-rate incentives, with payouts linked to individual productivity; group or team incentives, with payouts linked to achieving goals; and gainsharing group plans with payouts linked to savings. Each can contribute to improved performance. A fifth, discretionary bonuses, are inconsistent with theory as experience shows that bias and discrimination are common. Companies limit discretionary payments e to small “spot” awards. PFP is so deeply entrenched in the private sector that research there effectively ended years ago. Merit salary increase policies essentially are universal for all exempt employees. Executives, managers and at least senior professionals also participate in group incentives, with payouts linked to a combination of company and individual goal achievement. No one in business would seriously question the importance of financial rewards or suggest returning to policies where cost increases are automatic and unrelated to company performance. To be sure, PFP is not without problems. There are examples of incentives driving deleterious behavior. Wells Fargo Bank is a recent one. Those situations can be avoided with better planning. However, the stories confirm the power of incentives to influence behavior. The PFP debate has been the focus of countless columns, including a column on the PATimes.org website in 2011, where Joseph Adler asked, “If there are jurisdictions with a successful PFP system please forward any information to the email address below.” Others have entered the debate, including Bill Wilder, human resources director for the city of Charlotte during a time when it was nationally recognized for its management practices, including PFP. More recently, I offered two columns discussing the new salary system Tennessee has introduced, and Indiana is yet another state making the change. Some states have PFP policies going back to the late 1960s. It is safe to describe the trend as a slowly moving tidal wave. Elected leaders must make PFP a priority and hold executives accountable for its success. This is best planned as a management initiative, not a human resources one. The foundation for successful PFP is a credible basis for managing performance and employees need to believe increases will be fairly determined. Employees and managers must be involved in the planning; they understand better than anyone what will be accepted. Employers need to invest in preparing managers to manage staff performance so that it improves. Follow-up training each year would be helpful. Human resources must review annual ratings and increases for patterns that suggest bias or discrimination. A proven approach requires managers to justify high and low ratings in meetings with peer level managers. At year end, employees should be surveyed or asked to join in focus groups to identify areas for improvement and management must commit to addressing problems. Success makes agencies a better place to work. That benefits both employees and the public.